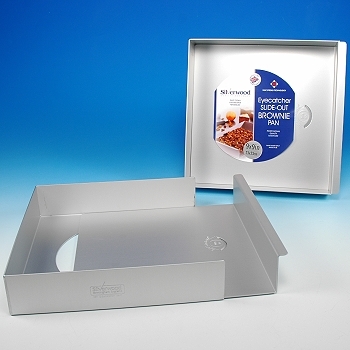 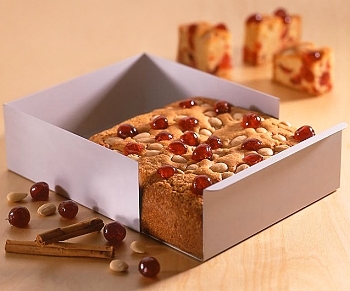 Eyecatcher Brownie Pan, is a unique baking pan which allows for fast removal of baked items. 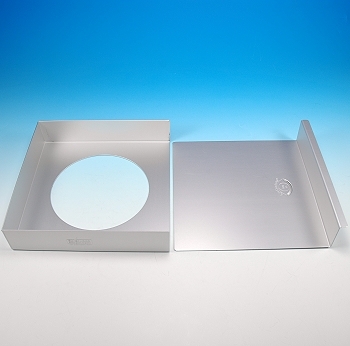 The pan is designed where the bottom base and side wall tray, easily slide-out. 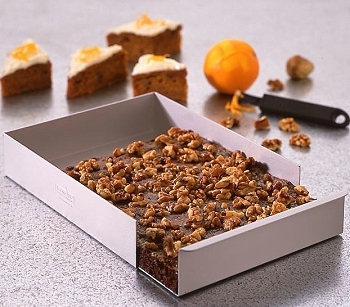 *For runny batters line pan with parchment paper.